Other B4R v1.20 has been released! Discussion in 'B4R Questions' started by Erel, Jul 7, 2016. Other B4R (Arduino) v1.00 has been released! 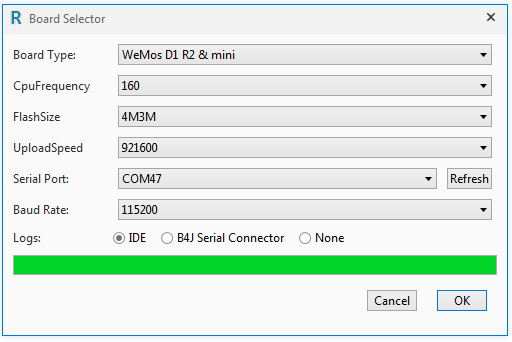 This version adds support for ESP8266 modules. These are great modules for IoT solutions. B4R framework supports boards that require specific memory alignment (as the ESP8266). WebSocketClient library has moved to the internal libraries folder. Serial.Initialize2 has been removed as it is not supported by many boards. It can be accessed with inline C.
metrick, barx, warwound and 7 others like this. From newborn to a toddler!